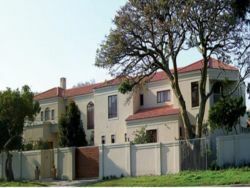 Pinelands, the first established 'Garden City' in South Africa, is located on the edge of Cape Town's Southern Suburbs. The sites of Pinelands are plentiful. Distinctive pine trees and an abundance of greenery line the wide streets, which still house some of the original, thatched cottages first built in the area. The area is primarily residential, and while it pertains more to an older generation and family living, it is a forthcoming attraction to younger people due to high standards of peacefulness, safety and security. Both visitors and residents will agree that there is a distinct feeling of 'English suburbia' to Pinelands, and this is not by happen stance. The area was designed post- world war during a period where socio-economic conditions in South Africa were at an all time low. To rectify issues of poor housing and living conditions, Richard Stuttaford, a merchant by trade, deemed it necessary to establish a 'Garden City'. This was an idea brought into the foray by forward thinker, Sir Ebenezer Howard. These 'Gardens City' were to be characterised by lush open spaces, revolutionary town planning and sprawling homesteads. Pinelands is ideally located just ten km outside of the City centre, allowing an easy drive for those who work in the hub. Attractions include the Mowbray Golf Club, an age-old club dating back to 1910 which provides majestic views of the Table Mountain range and Devil's Peak. What makes the club so popular is that it's open year-round, even during Cape Town's notorious winter seasons of torrential downpour and heavy winds. Visitors to Pinelands can take advantage of the various accommodation options from B&B's to Garden Cottages and self catering flats. A quick look at our website will give you the information you need to make your choice. 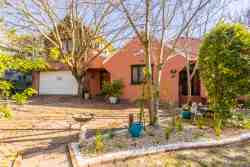 You will find reviews and you will also be able to compare prices and find wonderfully affordable accommodation in Pinelands. 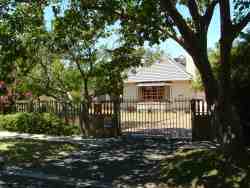 Are you planning the perfect getaway but have not yet found your ideal Pinelands accommodation? By using our easy website, you can find great accommodation of all types, whether it is a cosy bed and breakfast or a comfortable lodge. We have thousands of easy to find listings for self-catering facilities, holiday homes, guest houses and hotels as well as backpackers, chalets, caravan facilities, villas and apartments, giving you a wide variety of options when it comes to your accommodation in Pinelands. To help you find the right place to stay, we have a number of tools that you can use, including a map. This will help you to pin point exactly where you will be staying and it will show you the accommodation facilities that are closest to where you will be. Regardless of the reason for your visit to Pinelands, we can guarantee that you will find the type of accommodation you are looking for. But reviews for Pinelands accommodation is not the only information you will find. Want to know if your Pinelands accommodation is pet-friendly or allows smoking? All of that information is included on the listings page. You will also be able to find which activities are on offer and the sort of amenities included with each room. All of this information will help you to make an informed decision before you make any payments to, giving you more peace of mind about your choice. 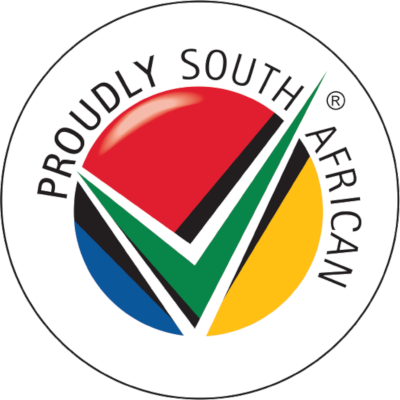 We include all of the contact details of the self-catering accommodation, holiday homes, guest houses and hotels as well as backpackers, chalets, caravan facilities, villas and apartments in Pinelands which are featured on this website, so you also have the option of getting directly in touch with the place. 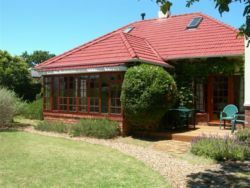 Regardless of where you are staying, we feature Pinelands accommodation in that area of the province. You have options of Pinelands guest houses, lodges and bed and breakfasts, among others, ranging from your more affordable, lower prices to your more luxurious options. So, you are not visiting for a holiday but rather for business and all you need is a place to stay for a night or two? The bed and breakfast options, as well as the lodges, are generally preferred by business people and you will find all types, from your more luxurious lodges to your simple, self-catering bed and breakfast. Each will give you a safe roof over your head while you are in the province. 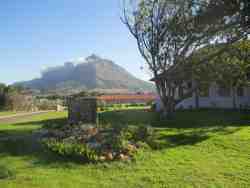 Pinelands accommodation is not only affordable but well situated. If you are doing business in this area, this is a great accommodation choice. Spending more than a few days in the province? Perhaps you are indulging in a tour of the region and you are looking for a few places to stay? Browsing through our listed self-catering accommodation, holiday homes, guest houses and hotels as well as backpackers, chalets, caravan facilities, villas and apartments in Pinelands will give you all of the information you need to make your selection. And once you have found the ideal place to stay, you can either request a quote or make your booking directly on this website. Sleeping-OUT.co.za is designed to make finding and booking accommodation in Pinelands easier than your traditional methods of sourcing a place to stay! 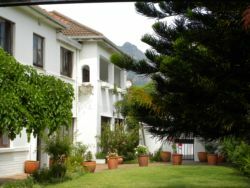 We include some great accommodation special deals in and around Pinelands. 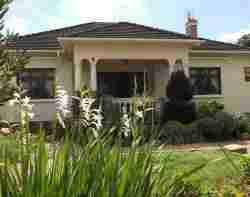 56 reviews of Pinelands Accommodation. Pinelands is attractive, central and one of my favourite suburbs in Cape Town. Good shopping and many choice Restaurants too.